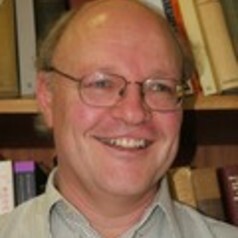 Servaas van der Berg is Professor of Economics at the University of Stellenbosch and holds the National Research Chair in the Economics of Social Policy. The ReSEP research programme that he leads at the University of Stellenbosch (Research on Socio-Economic Policy) focuses on poverty, inequality, labour markets, and social policies, including policies in the field of education, health and social grants (http://resep.sun.ac.za/). His research with ReSEP has influenced social and economic policy making in South Africa, for instance regarding child support grants and education policies, and he has also undertaken research in other countries in the Southern African region. He widely consults for government departments and international organisations such as the World Bank, UNDP, Unicef and SACMEQ/Unesco. He is a Fellow of the International Academy of Education and servedon the Scientific Committee of SACMEQ.